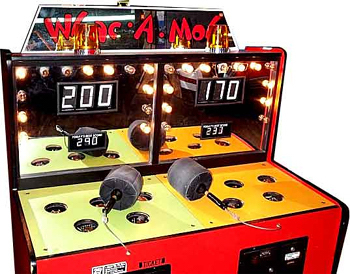 If you haven’t heard of Whac-A-Mole it’s a popular arcade where the object of the game is to force the individual moles back into their holes by hitting them directly on the head with the mallet. The term was used recently by Netflix as reported by Fairfax recently when they asked us about the impact of Netflix’s reported crackdown. We use the term PaaS because we consider Global Mode® a platform, and you can’t rent tin from us, and SaaS is more akin to a business service. 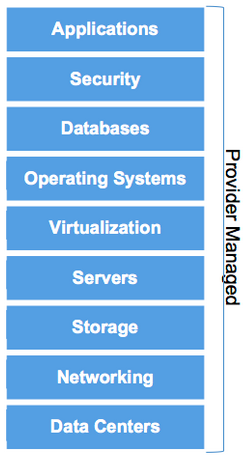 The point isn’t how you define cloud services; it’s why do you use them? A quick look in our accounting system and it’s obvious, we have 161 vendors to manage to provide our service. Sure, out of that list we retain a specialist legal council, we call on our accountant for advice, and I’m sure our local micro-brewery is in that list too. Consider 25% of our contacts are overheads; that means we deal with ≈120 vendors we to run the platform. Then you have to consider Hulu took these same measures last year to block services that circumvent geolocation restrictions. Don’t get me wrong we consider this an issue, but it’s a headache we have to manage. Would you prefer to have one of your staff create a mitigation plan or receive a proactive call from your PaaS provider to say they’ve been planning for this, then advise you of the solution? It’s a bit of a no-brainer, but in my experience, in the SaaS/PaaS sector continuous improvement is nearly always overlooked. Whatever the offer, you can tell a good PaaS provider by the number of updates you get in your product. If you don’t get new features, new reporting, new user interfaces then they’re not taking the money you pay them and reinvesting it into improving the product. When Hulu announced their plans we had taken certain measures already, that’s why we created VIPER, our transparent DNS proxy. That took about three months, imagine if you had a core service used by ¼ of your customers every day, but it wasn’t operating at 100% effectiveness. What flow on impact would this have to your call centre and ultimately your brand? Since then we’ve taken even more, we launched DELUGE, our TCP acceleration software and proxy network. This is key to the whack-a-mole game, as it’s how we manage client-side and server-side proxies and traffic to create a high-performance solution. In the ‘old days’ without DELUGE, we wouldn’t have been able to scale and support the influx of hundred’s of thousand’s of new users concurrently without any issues. We also look at business processes, and something any organisation can consider, is process automation for deploying software. At BNSL, we use ansible to automate new site deployments and management application configuration – think about how fast we need to do this when we start playing whack-a-mole with Hulu & Netflix. It’s our job to make the web a better place. That means we need to be experts at managing the moving parts for our platform so we can win the whack-a-mole and avoid getting ‘smacked’ by the Netflix mallet.